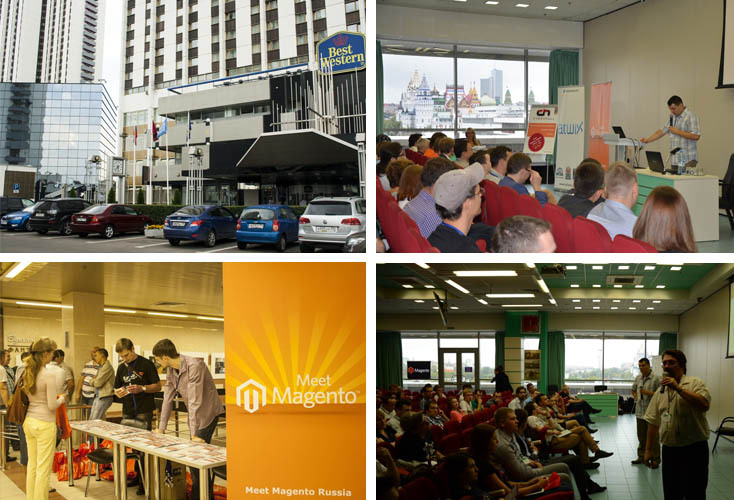 Meet Magento Russia is the first Magento focused event in Russia. We would like to thank sponsors of the conference: Amasty, aheadWorks, TagesJump, Atwix, CyberHull and GoMage for support and the prizes, as well as speakers for high quality and interesting presentations (well done!). During the conference there were contests from Amasty and CyberHull companies. The winners received the Apple iPad (from CyberHull) and Apple Macbook Air from the Amasty. In addition, the best speakers got 5 certificates for PHPstorm (from JetBrains) and 3 vouchers for Magento developer certification (from Magento). 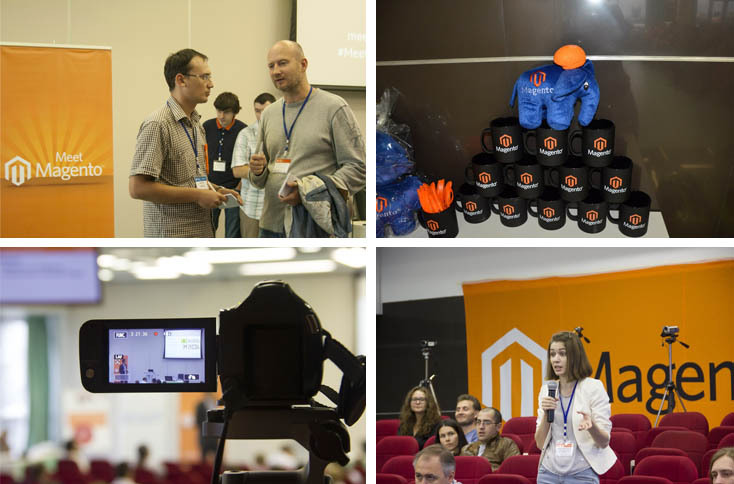 In addition to hand-outs from the organizers, the participants received prizes from Magento, for the best questions were given T-shirts, mugs and other souvenirs. 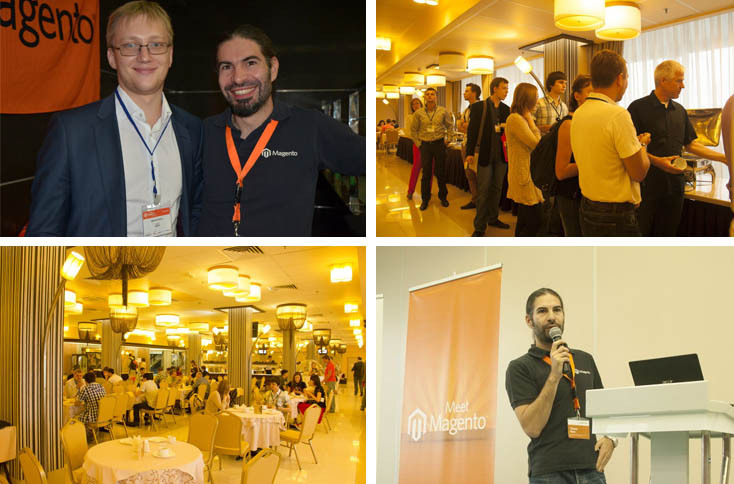 Many thanks to the guys from Magento Ukraine for helping to organize the event. 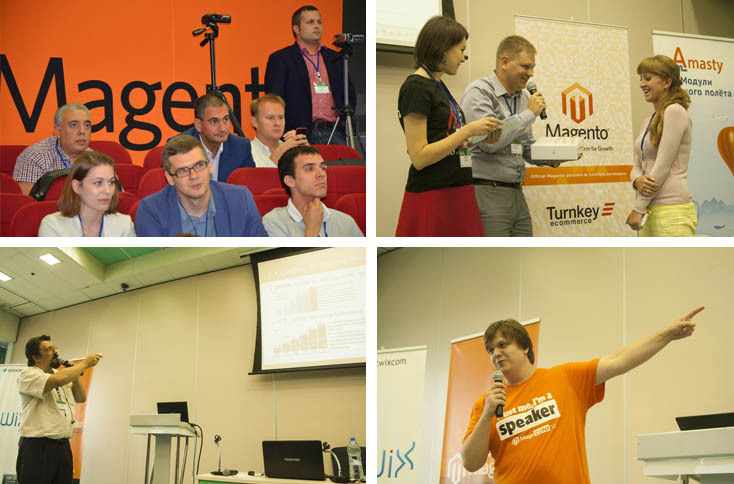 Magento community has always been characterized by openness and goodwill, we are pleased that this spirit was present at the Meet Magento Russia during the speeches, coffee breaks and after-party. You can find photos in the Facebook album and Vkontakte album. Atwix - Meet Magento Russia 2013. Atwix experience. aheadWorks - Come Join aheadWorks Team on the Trip to Meet Magento Russia! Amasty - Meet Magento Russia Is Around the Corner! Hope that we will be here soon! Hope that we will be here next time!